As part of our rubbish removal service we will clear all types of waste from inside or out side your property, we will clear all general rubbish from your home, so if you have ripped out a old kitchen or bathroom, or are replacing a new fence in the garden our just have rubbish you want clearing from your home, we will send our rubbish clearance team to clear all your junk. We can offer a same day rubbish removal for all your unwanted rubbish, with us you do not need a skip permit, as our rubbish trucks park as close to your property as possible, and all your waste is loaded into our lorries, we have trucks that can hold from a 6 yard skip load up to 24 yards, and are able to be at your pick up address same day or as a scheduled rubbish collection. To book a Rubbish Removal just call 08006129477 and give as a idea of what you have, we are cheaper than any skip hire service and we will quote you on what space and weight you require on our lorries so if you require a quarter skip load or up to 4 skip loads in one visit we can give you any volume in between to what you require on all our rubbish removals. House Clearance in London. The on demand junk clearance service. With our household waste removal service we can have your home cleared at short notice, no matter how much bulky waste you have to clear. 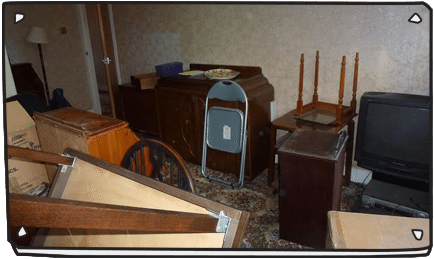 Flat clearance London, we clear any flat that requires to be part or fully cleared of unwanted old furniture, white goods, electrical waste & household junk from any floor in your home. 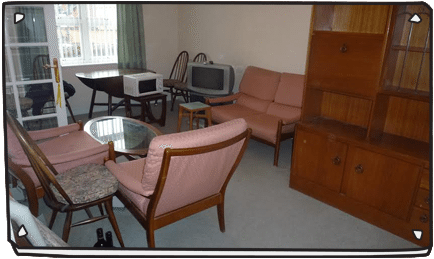 Furniture disposal London, For old sofa, chairs, tables, beds, mattress, chest of drawers and all other unwanted household & commercial furniture for removal & recycling. Garage Clearance in London. 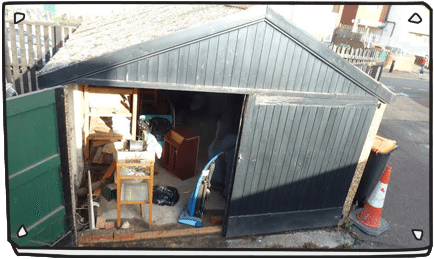 With our waste removal service, we can have your garage cleared the same day or at a scheduled time, even if you’ve let years worth of junk and rubbish build up. 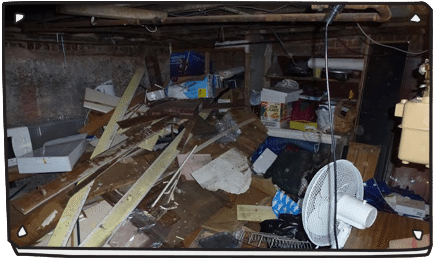 Cellar and Loft clearance London. They’re great places to store your old goods, but when you leave your old waste and rubbish too long, pests and dirt can take over. If you need a waste or junk removal service in those harder to access areas, our cellar and loft clearance teams can help. 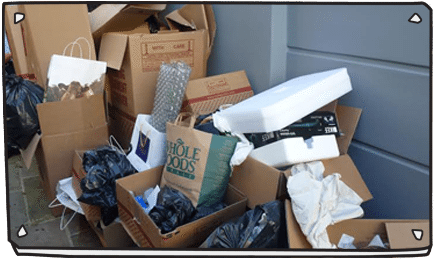 Rubbish Removal London. sameday or scheduled rubbish removal and waste clearance from our man and van teams. We do all the work for you whether you need to clear out a room in a flat or a full house clearance. Majority of the waste clearance and rubbish removal service we provide is recycled. Here at House and Flat Clearance London, we provide the perfect alternative to clearing unwanted junk and furniture. From sofas and cabinets to tables and chairs, we offer a stress free and effective same day service. Our loft had been piling up for several months now which suddenly became urgent to clear. 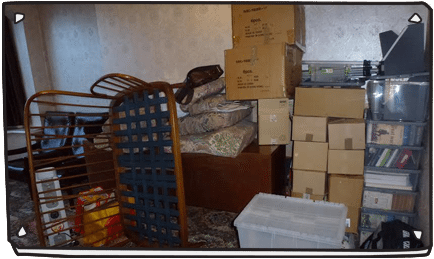 I gave House Clearance London a call at short notice and they were there at the first possible opportunity to help. They cleared the whole thing with in an afternoon which would have taken me a few days on my own! I had a last minute instruction to clear my mum's flat. I called at 1 on a Friday afternoon and had the job done the following day. What a great response and fantastic turn around. The guys were in and out within 3 hours, would highly recommend to all. Thank you so much! House Clarence London at short notice arrived and cleared my front garden of all the waste my builders had left behind from having kitchen and bathroom refurbishment. Highly recommended, thanks again. Guide to our house and flat clearance service. House and Flat Clearance London are a proud and reliable fully licensed company. We operate weekdays from Monday to Friday and offer a Saturday service until late afternoon. Our team clear apartments of all sizes and flats from the ground floor up. We are happy to do the smallest of jobs to the larger clearances of a complete house or flat. House and Flat Clearance London recycle all re-usable furniture. We are a Professional and controlled collection service.